Note the "bored" was the words of Reddit user Travissimo, not me. I can't picture soldiers serving overseas having enough spare time to approach being bored, let alone bored enough to engage in box art cosplay. Of sorts. 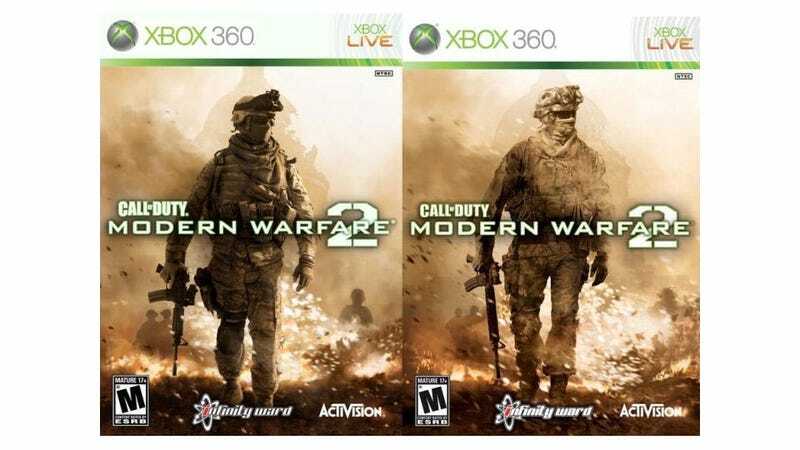 But hey, he must have had a little spare time, because he does a damn good job here of recreating the box art for Modern Warfare 2, down to the correct equipment, clothing and stance. About the only noticeable difference is that Travissimo's finger is off the trigger, but then, that's how safety procedures roll in the real world.